It seems like I am doing nothing but writing up posts on new pattern releases this week (quite literally, as I have been a bit sick), and today McCall’s has joined the lineup – with their new (early summer?) pattern releases. This release had a lot of kids and crafts patterns, along with another collection of easy summery dresses. 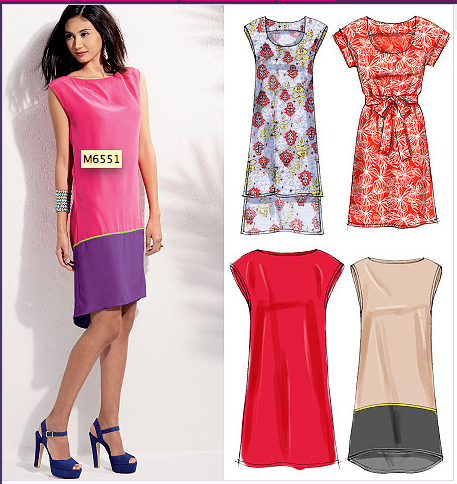 The big trends in this release seem to be color blocking (it is everywhere!) and maxi-dresses. Most of the styles are pretty basic, but there were a few interesting tops. M6557 – This is probably my favorite in this release, but I already have similar patterns. M6564 – An interesting variation on a wrap top. 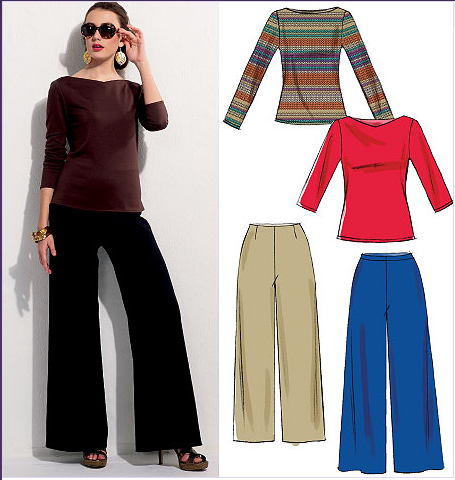 M6571 – I would be interested in this pattern if I didn’t already have similar pants and top patterns from Burda. M6569 – New bathing suit pattern – spring is here! All in all the patterns aren’t bad, but they also aren’t terribly exciting. I mean, all of the styles I am responding to are similar to patterns I already own, and I am not really finding enough of interest here to add anything to my wish list. So, what about everyone else? Anything here you are dying to make? Or are you going to be passing on these releases? 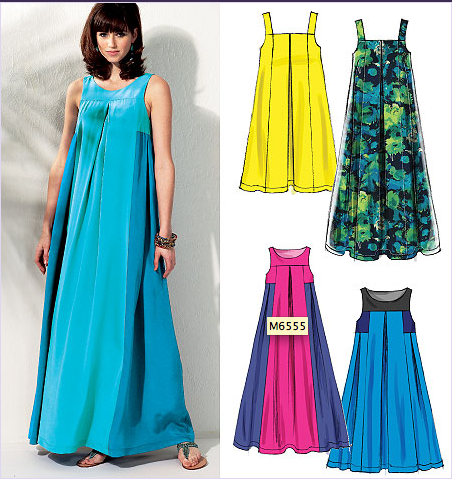 Are you more excited by the McCall’s color blocking and maxi trends, or Simplicity’s peplums and short skirts? From these photos, there's nothing tempting me which is a good thing because McCalls are one of the more expensive pattern lines in the UK (not as expensive as Vogue, but quite a bit more than Simplicity) and quite a high percentage of their patterns don't seem to be sold here. 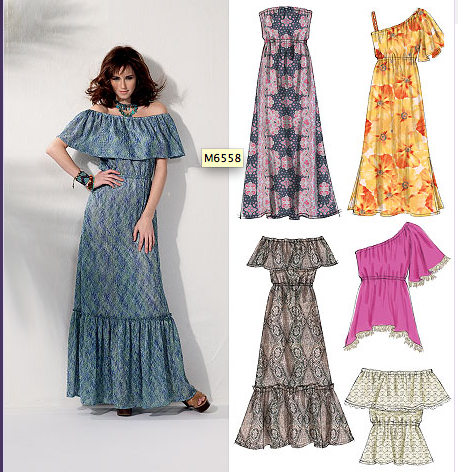 Those 70s style maxi-dresses are just hideous! Like you, I already have patterns that are very similar to most of these. I could also probably frankenpattern most of them from Burda issues. I love that you do these posts – I got the email telling me these were up and I consciously made the decision to wait for your post – the pictures are bigger and I get everything nice on one screen! haha. Aww, thanks! I am glad these posts are appreciated by others, and not just me rambling about my somewhat limited taste in sewing patterns. Also, it helps me remember what I did and didn't like in case a sale comes up.